Rianne Svelnis is an independent contemporary dance artist and a second generation Eastern European-Canadian settler born and raised in Vancouver, on unceded Skwxwú7mesh (Squamish), Səl̓ílwətaɬ (Tsleil- Waututh), and xʷməθkwəy̓əm (Musqueam) territories. Since graduating from Modus Operandi Contemporary Dance Program in 2016, Rianne has continued her technical training with Peter Bingham, Helen Walkley, Justine Chambers, Emmalena Fredriksson and at La Cantera studio in Mexico City. She has danced in works by Justine Chambers, MACHiNENOiSY, Emmalena Fredriksson, Sasha Kleinplatz, Daisy Thompson, Kelly McInnes and Naomi Brand. She has also presented her own choreographic work in collaboration with Kelly McInnes and Areli Moran (Mexico). 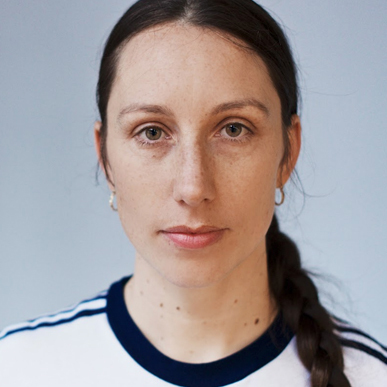 Rianne also teaches contemporary dance classes at Harbour Dance Centre and All Bodies Dance, and has had the opportunity to lead dance workshops in Mexico and Ecuador.